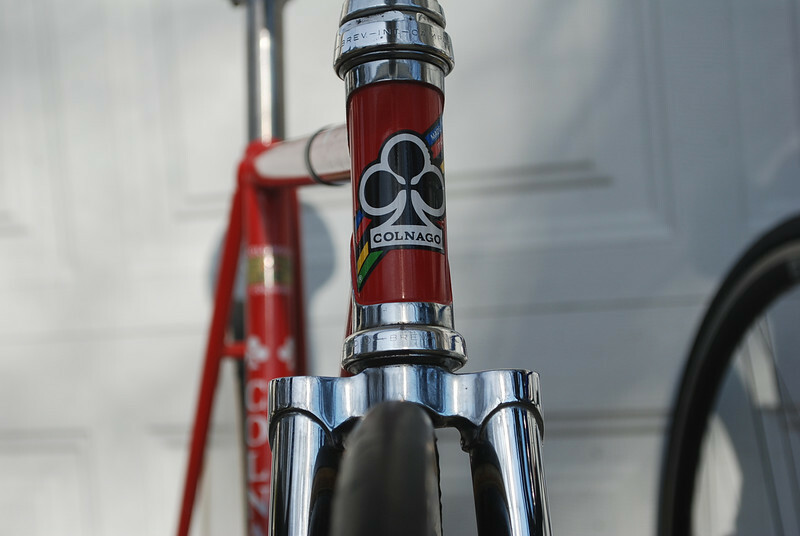 Colnago Pista headtube detail. Note undrilled front fork...this is a track bike. No brakes required!